🍋😋Here is our new CITRON salad for the month of May! 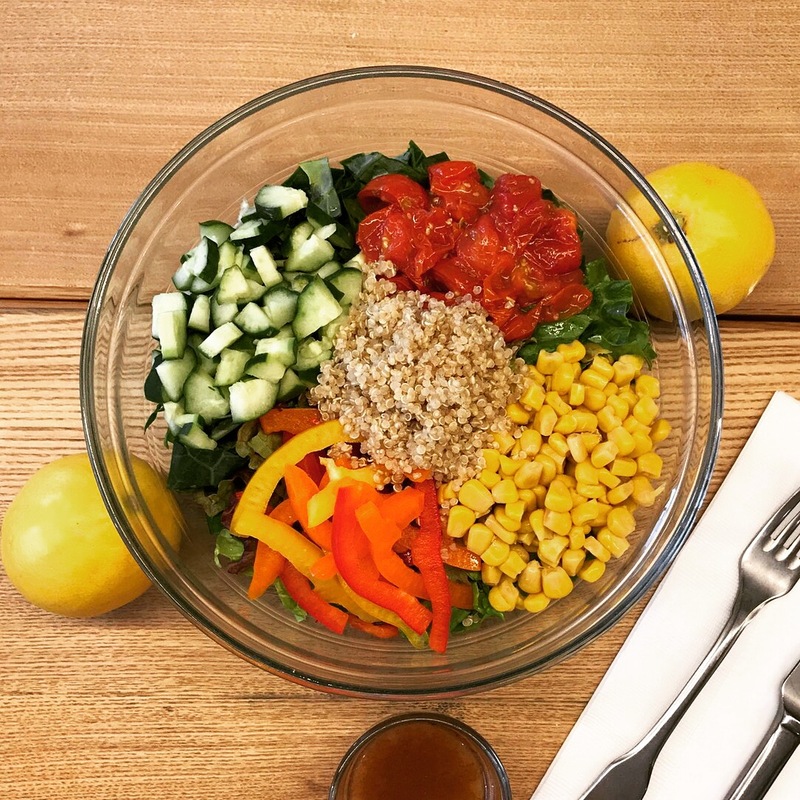 It will be a bliss for all our vegan customers as it is composed of bell peppers, sundried tomatoes, cucumbers, corn and quinoa. Paired with our Paris-Tokyo dressing! Yummy!